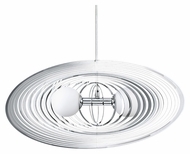 Modern Lighting Fixtures - Eglo Lighting ~ HUGE DISCOUNT! Founded in 1976 in Tyrol, Austria, EGLO has emerged as one of the most successful lighting manufacturers on five continents. 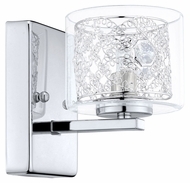 With an emphasis on modern contemporary design, EGLO has developed lighting for vanity and bathroom fixtures, table and floor lamps, ceiling and wall lighting and crystal lighting fixtures. In addition, EGLO has complete lines of outdoor lighting, track lighting and commercial lighting, suitable for all new construction. EGLO fixtures utilize brushed aluminum, modular design elements, and green technology, making these lighting fixtures not only relevant from an architectural point of view, but also Earth friendly and efficient in terms of energy usage. Their outdoor lighting collection is truly cutting edge, and EGLO�s track lighting systems are a breath of fresh air for their application. With offices in 48 countries worldwide, EGLO Lighting has established themselves as truly a world leader in lighting design and manufacturing.